When I was a teenager, I noticed that there were people who were able to sing a melody that they had never heard before simply by reading from a page of sheet music. This made a deep impression on me. I was convinced that such people were born with some sort of supernatural ability and that mere mortals like myself might as well give up the notion of ever being able to do such a thing. When my mother told me that she had heard of a system whereby people could learn to sing from notes, I became very curious. But where could one find such a system? I finally saw the light, when at the age of twenty, I began to study at the Berklee College of Music, in Boston, Massachusetts, USA. Later, I found out that I need not have traveled so far. This system is very old and universally known. It is called solfège. 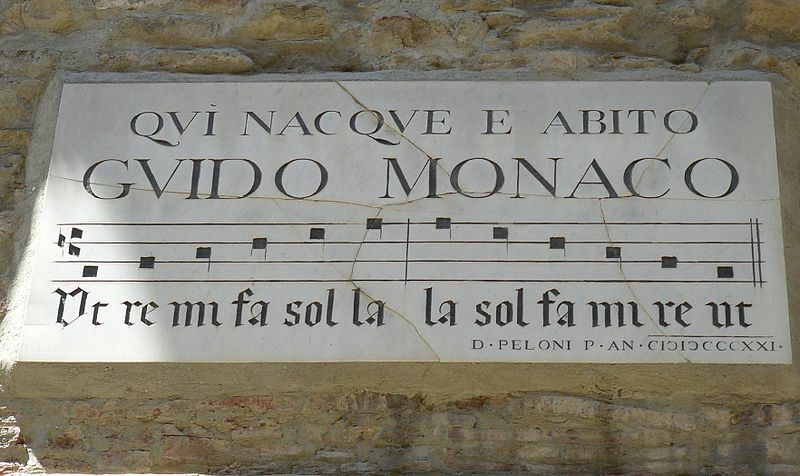 The system of solfège was invented nearly a thousand years ago by the same man who invented our note system. He was the Italian, Guido di Arezzo (ca. 995-1050). Guido had composed the melody in a major scale beginning the first tone of each line one step above the first tone in the preceding line. From this was derived the scale ut-re-mi-fa-sol-la. Now, having learned Guido’s melody by heart, the student could always find the tone mi or fa in relation to the tonic (the first tone of the scale). But that wasn’t all. Guido claimed that with the help of these two systems he could teach a person to sing from notes in one month. A new era had begun. The pope was impressed. 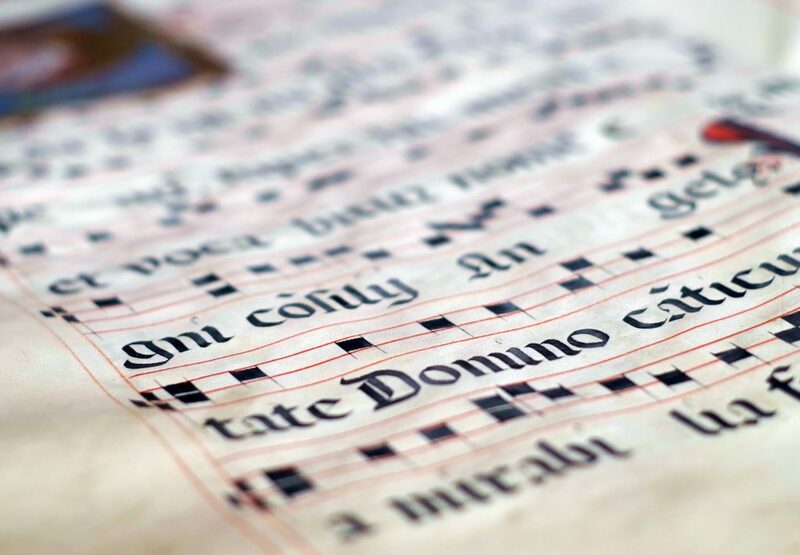 He knew that for hundreds of years the church had tried hard to get the melodies on paper. Now, this man stood in front of him with a system in hand whereby not only all the melodies could be written down, but people could learn to read them fairly easily. “I propose that you assume the position of Bishop”, said the Pope. But Guido was deep into the world of music and did not want the many obligations that would weigh heavy on the shoulders of a bishop. Instead he chose to continue teaching and doing research, which we should probably be very grateful for to this day. Guido had many other inventions. 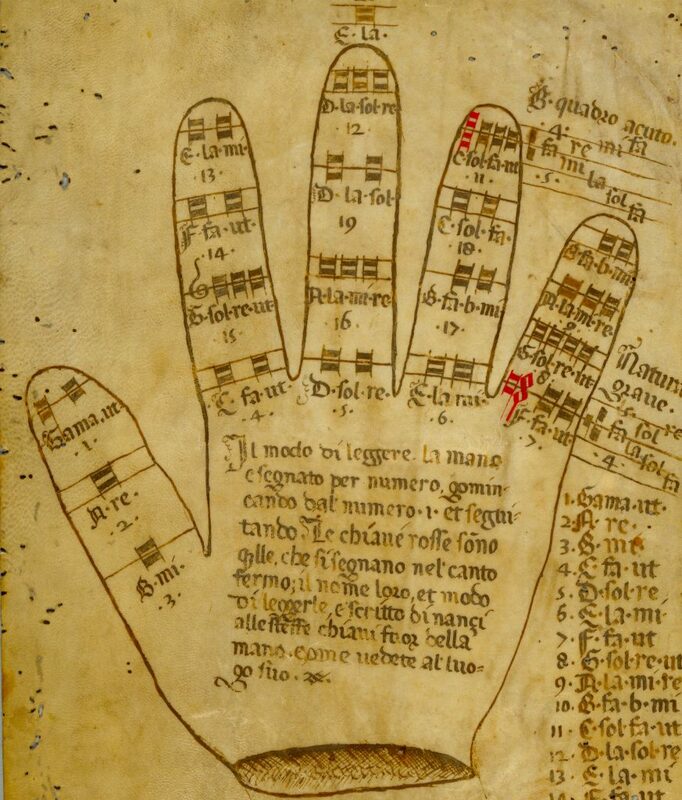 One of them was “the Guidonian Hand”, a system in which various places on the palm of the hand and on the fingers represented different syllables in the solfège exercise. The teacher could now, by pointing to his left hand, train the choir and the students in little melodies or difficult “jumps”. After the death of Guido in 1050 there was no one who was able to – or who dared – make improvements to the system. For centuries the ut-re-mi-fa-sol-la scale was used for singing, until in the 16th century it became the ”do-re-mi-fa-so-la-ti-do” – the major scale that we know today. The pure minor scale was always sung from the “la”: “la-ti-do-re-mi-fa-so-la” – the pure minor scale. This is a sort of switching around of the major scale. In our day and age, where there is a lot of consciousness as to the use of scales, there is a tendency to let the “do” be the tonic (the first tone of the scale), giving the following appearance to the minor scale: do-re-me-fa-so-le-te-do. It is still a pure minor scale, but now it has the same order and nearly the same names as in the major scale, just with a lowered 3rd, 6th and 7th step. In theory it is all very simple. Now let’s get to practicing! There are exceptions, but 99.9% of the time, black keys are noetatd with symbols: # and ? (sharps and flats)The key signature on the left indicates which notes should be # and ? throughout the piece, unless ? (natural) appears. In a specific measure, any added #, ?, ? carries? through the one measure only. post! Thanks a lot for the share! Thank you for putting this out there. Do you have this written in a thesis or dissertation that I may reference in a paper? Very well writtrn and informative! But any info on who added those di ri fi …the solfege for the sharps and flats, and when?